Flight 1549: Miracle on the Hudson returns to the museum for a limited time in honor of the 10th Anniversary. Flight 1549: Miracle on the Hudson is a special exhibition that educates visitors about the miraculous landing of Flight 1549 on the Hudson river by Captain Chesley “Sully” Sullenberger on January 15, 2009. 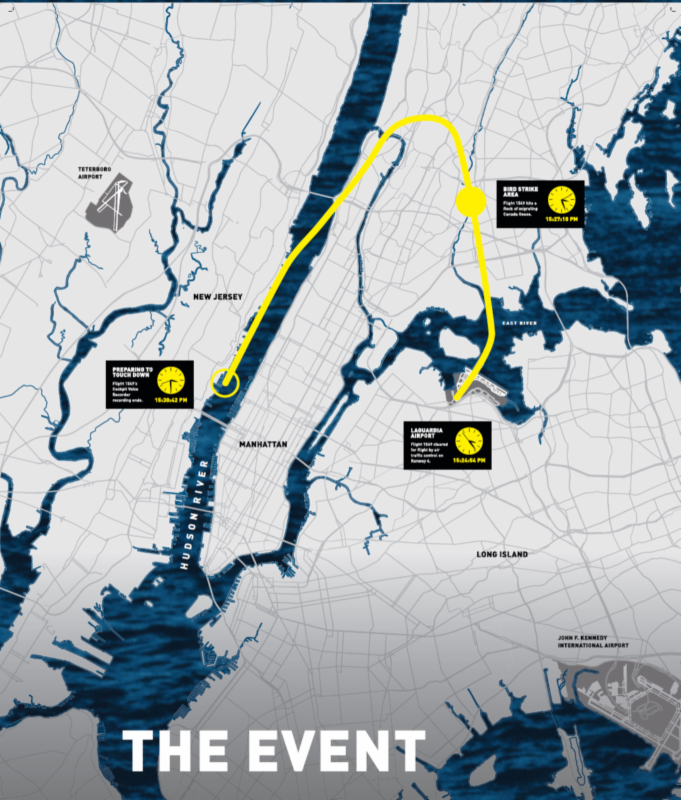 This panel exhibition takes visitors through the quick thinking and determined action of the flight crewmembers as well as the rapid response of the crews of nearby ferryboats and New York City’s first responders who together averted a potential disaster. Flight 1549: Miracle on the Hudson is an excerpt of a larger exhibition at the Carolina’s Aviation Museum in Charlotte, NC, where the Flight 1549 aircraft is on display.